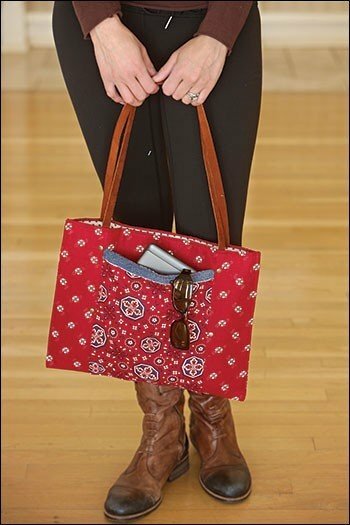 Learn the basics of sewing as you create this sleek, slim bag - perfect for tucking in your tablet or book when you're on the go. All fabrics and materials are included in the cost of this one-time class (2.5 hours). We will have several kit options for you to choose from on your class day. You do not need to own a sewing machine to take this introductory class. We will provide one of our Baby Lock sewing machines for you to use! 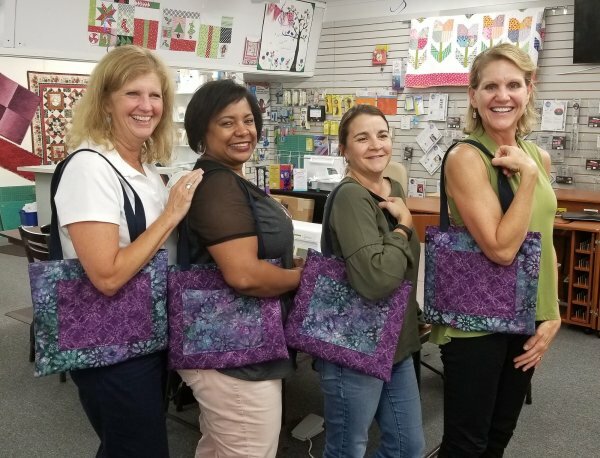 No machine experience necessary - we will help you learn how to use the machine and you will go home with a beautiful, completed bag. Plus we have plenty of fun! Completed bag body measures 11 x 14 inches and includes a black webbing handle. You will also learn how to install a pocket (one outside pocket and one inside pocket).